The big day is finally here – Prince Harry and actress Meghan Markle are all set to finally getting hitched today in a royal ceremony at Windsor Castle. Friends and family started arriving at the wedding. 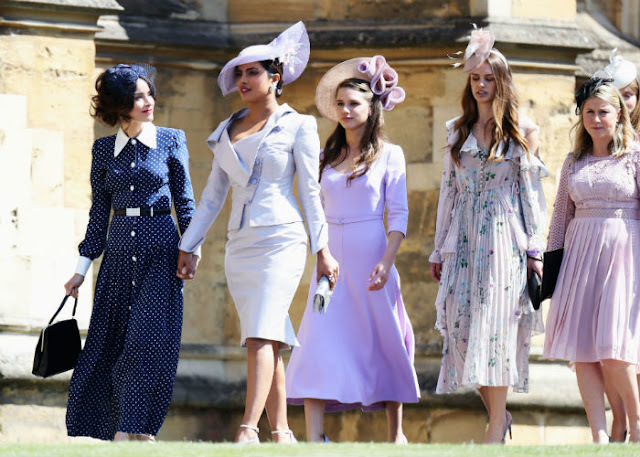 The international star, Priyanka Chopra has arrived at the venue to attend the royal wedding of Prince Harry and Meghan Markle. Dressed in a lavender Vivienne Westwood skirt and blazer combo paired with a classy hat, Priyanka looks gorgeous in it. Priyanka is a longtime friend of Markle’s and has spoken extremely highly of the bride-to-be since the news of her engagement to Harry broke in November.